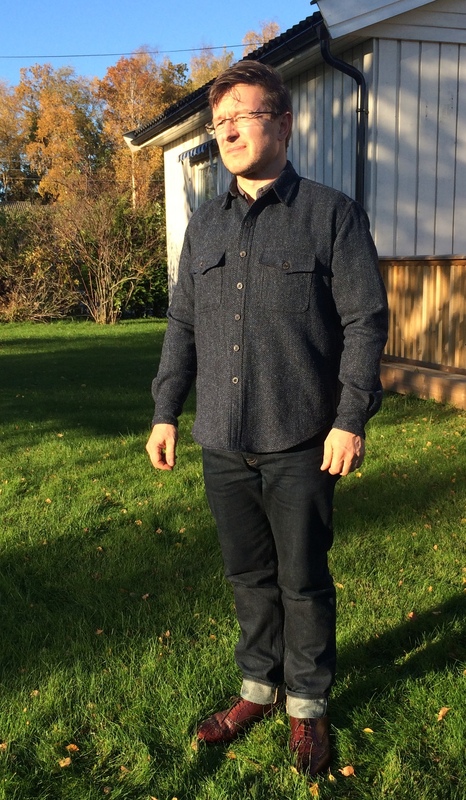 The Thoroughstitch CPO-shirt in Harris Tweed - Well Dressed Dad - It is a proper menswear blog. Like, with original words and opinions and suchlike. It’s no secret that around these parts we (a royal “we”, i.e. me) have a certain fondness for tweed, and especially of the Hebridean Harris type. We, ok, I also have a fondness for garments that are in some way special, as in properly made, well designed, in some way interesting and so forth. And today I’m looking at a wool shirt that ticks a lot of boxes in indeed. 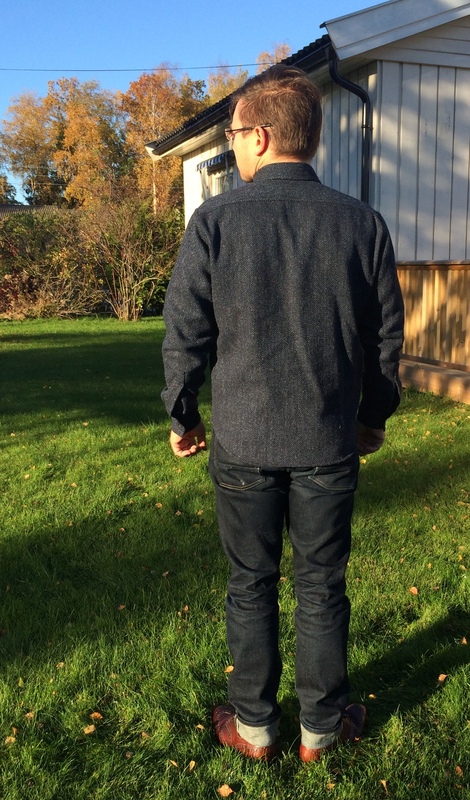 I’ve mentioned Thoroughstitch before, when I reviewed the great chinos they did in the early summer. Since then they have been slowly releasing new pieces, mainly shirts and trousers. Each with unique points and in quite limited numbers, and each being quite special. 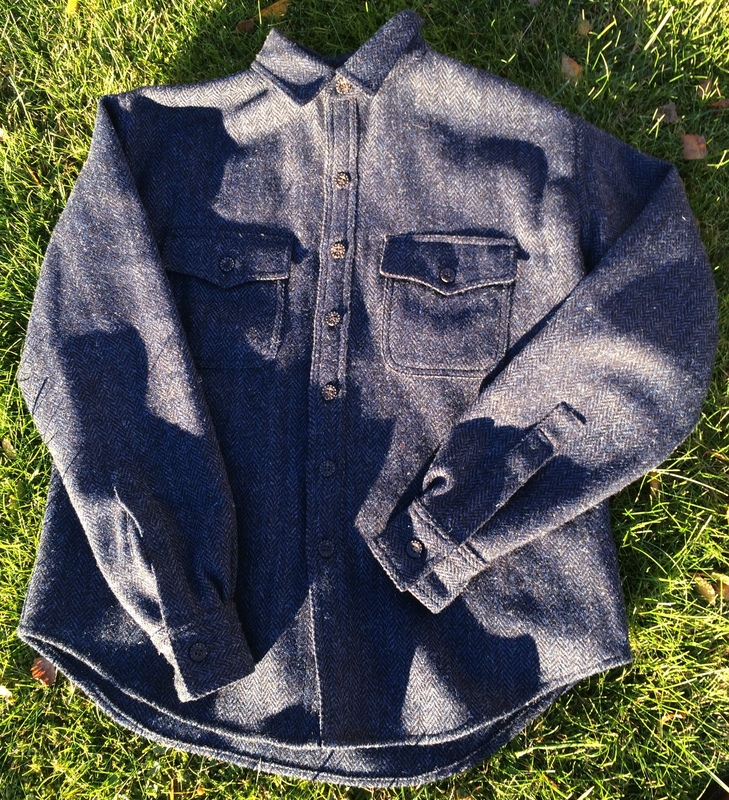 After a tantalising glimpse on their Instagram (as shown above) in the early Spring though, I have been waiting for this one: The CPO-shirt. 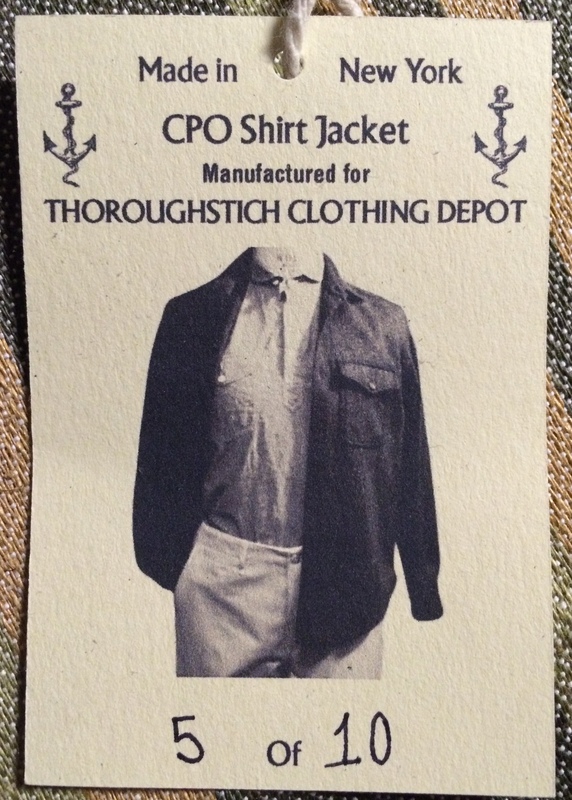 CPO-shirt, what might that be? Well, in short form it’s another of these classic or iconic pieces of menswear, similar to the Mackinaw jacket, or the 501 jeans, or even the sweatshirt. It’s a design that hails from naval times, where the CPO stands for Chief Petty Officer after a style US Navy officers wore from around 1930 until the late 40s. Usually a fairly thick wool shirt, almost a jacket, of a strict cut and featuring a chest pocket or two. Functionally it’s a perfect mid-weather jacket for Autumn or Spring, or as an over-shirt to layer with when it gets a little nippier. 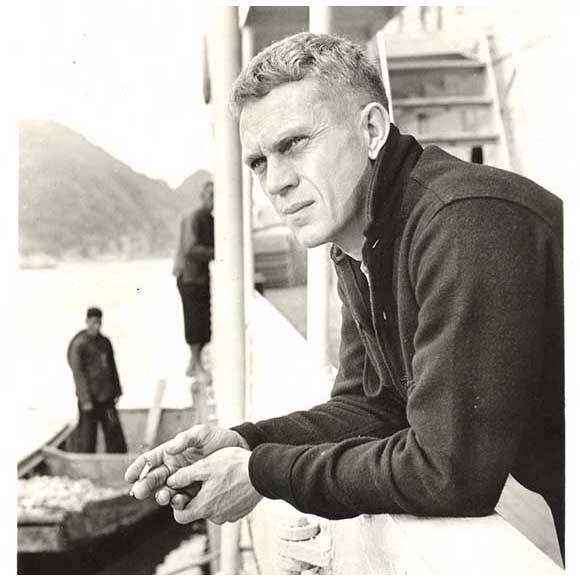 Oh, and as seen above it’s another part of the iconic menswear pieces that have that Steve McQueen connection, so if that’s the look you are vying for, it’s time to get into the wool shirt chic. So, on the one hand we have a fantastically useful and classic shirt design. 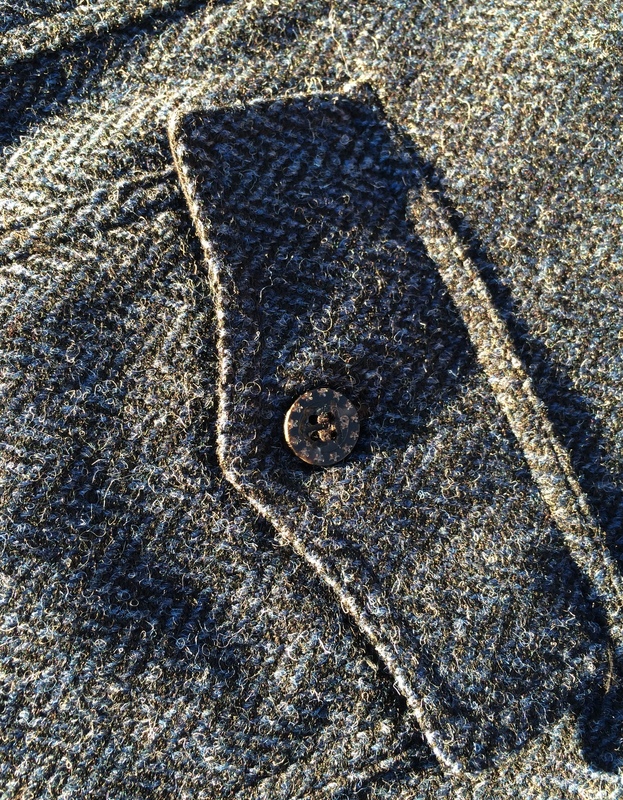 On the other we have another gorgeous piece of herringbone Harris Tweed. This is obviously a total win and I could stop the review here and now and you’d have all the information you could possibly need, right? Yet, we must look to the details. Always the details. And there are of course some details to be mentioned here. For starters, the tweed. The tweed itself is among the finest I have seen. At first glance it’s mainly blue, and with a herringbone pattern. An aspect of the finest tweeds is how they will look different in different light. 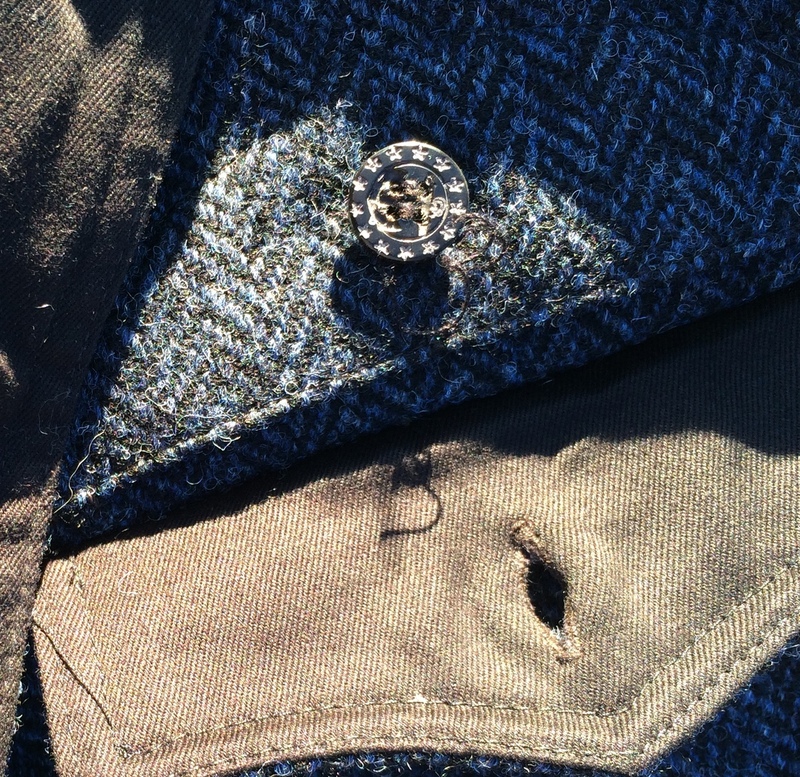 A tweed is rarely woven from a single colour thread, and the best ones include colours that take a while to register. I have tweeds where I still regularly think “was this always like this?”, and for me this is part of what makes tweed so great. This one is blue and black, with plenty of undertones. In some light it will look dark grey, in others more vibrantly blue. It’s a cracker, no doubt about it. And the buttons, proper horn buttons with the Thoroughstitch ring of stars and a anchor in the middle. 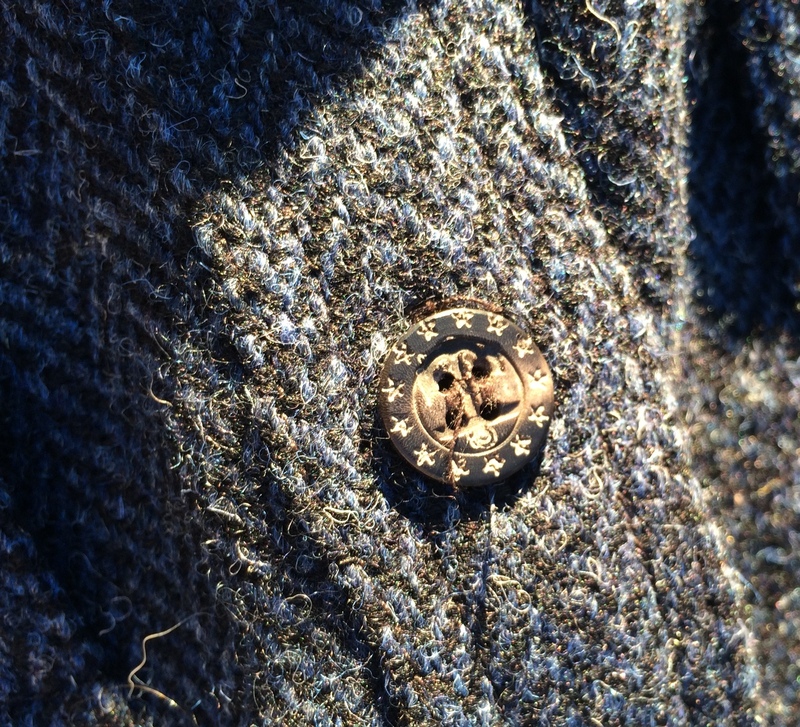 A nod to the naval heritage and splendid buttons for such a quality piece. And spares are included, just in case. If there is one downside of wool and tweed as fabric it has to be that the wool on skin feeling can be a little less than optimal. To be totally technical we can describe it as somewhat on the itchy side. Hardly a deal-breaker, as I’ve yet to see underwear or similar in coarse tweed, so there will always be a layer to insulate between itchy wool fibres and soft human skin. In the case of this shirt, it is intended as an over-shirt, so you will wear a shirt of a long-armed cotton top underneath. There are still areas where wool might touch skin though, but Thoroughstitch have thoughtfully lined the cuffs and neck with softer cotton twill to alleviate any issues there. The pocket flaps and collar are also lined with cotton twill, to strengthen and provide a comfortable interface. Cut-wise the shirt is well-sized, with space for the intended under-shirt. The length is perfect for wearing it untucked, which is a good feature as trying to tuck a tweed shirt into your trousers would give you a really strange waist-line, and having it draped too far down would also look less than optimal. 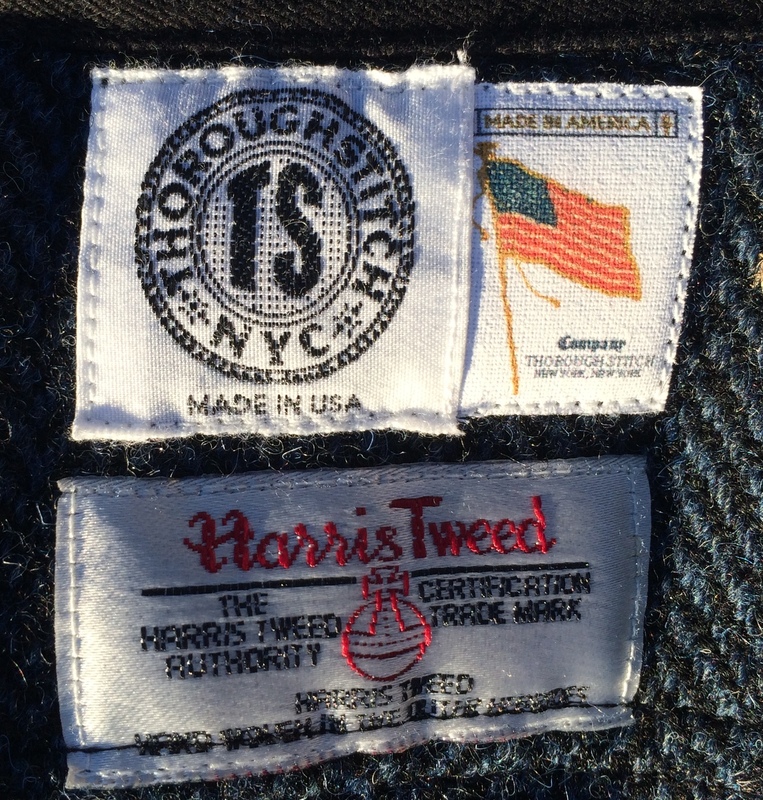 The stitching is to the usual high standard set by Thoroughstich, a testament to the small factory they use in the NYC garment district. 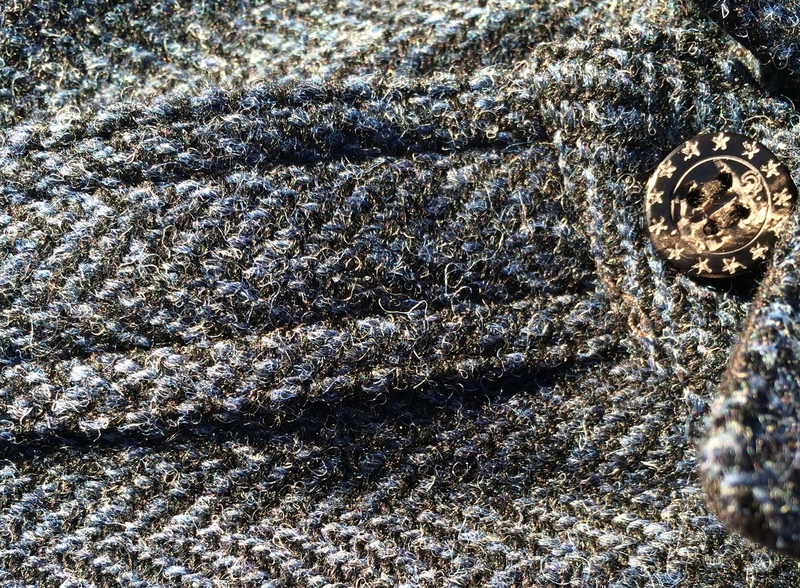 I did notice a couple of lose thread end on the buttons and will keep an eye on them. All the seams are felled and finished properly though, so the shirt is as nice on the inside as the outside. No short-cuts here! Only available in a strictly limited edition of 10 pieces, in sizes small and medium, this will be gone before you have a chance to consider how much you need one.